Instant way to add flavor to hot, iced, or blended drinks; Ideal for frappes, iced coffees, etc. 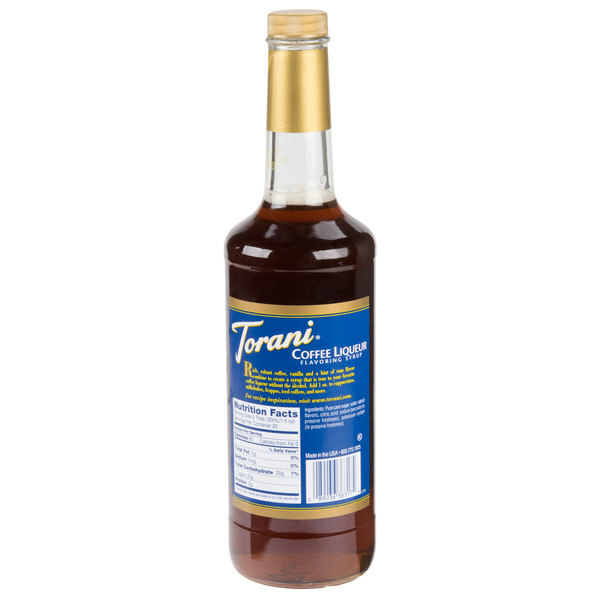 Bring all new flavors to your specialty drink menu with this Torani coffee liqueur flavoring syrup! Combining the robust flavor of coffee with hints of rum and vanilla, this tempting flavor complements your beverages without overpowering them or being too sweet. It is specially formulated to resist curdling in milk and to hold up well under heat, making it the perfect choice for espresso-based drinks or a cup of hot brewed coffee. Boasting a sleek appearance for your bar or coffee shop counter, this syrup bottle can easily be paired with a compatible pump for quick, efficient service during peak serving hours. Featuring a taste true to the classic liqueur, but without the alcohol content, this syrup has a timeless flavor for your classic drinks and new creations. It is sweetened with pure cane sugar, and just a small amount of syrup adds a robust, smooth and rich taste to your drink recipes. It's perfect for lattes and iced coffees at your coffee shop, as well as white russians and mudslides at your bar! 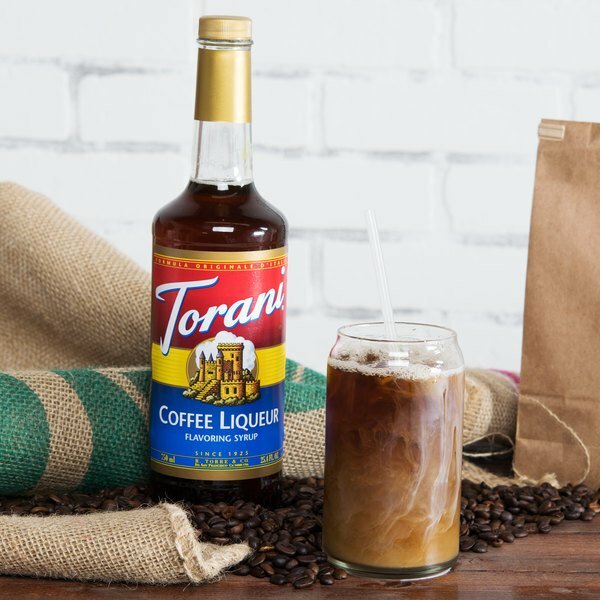 Discover new Torani recipes for this product, including a spiced coffee liqueur cappuccino, B-52 frappe, and iced coffee liqueur mocha. Founded in 1925, Torani started as a family company in southern San Francisco and has since grown to an international brand of quality syrups and drink mixes exporting to 40 countries around the world. Their sense of tradition and experimental ambition has expanded their product line to dozens of varied flavors from the Classic Caramel and the unique Mojito Mint, yielding a flavor for almost every palate and recipe. The coffee liqueur is excellent, I love to use it iced before early morning shifts. It’s 5AM somewhere. No milk needed if you have a good roast. And go one pump lighter than you think is necessary! Great for cocktails or doing coffee flavored blended drinks. I would highly recommend Tornai Coffee Liqueur over the regular torani coffee flavor. This one has a more full flavor. The coffee liqueur syrup is very rich and super concentrated coffee syrup. A great syrup for making iced style coffee that is very sweet and delicious. The coffee liqueur flavoring syrup is delicious. The coffee flavoring is bold and makes a great syrup for making our white Russian cocktails. A great smooth syrup. The Torani coffee liqueur flavoring is great and very strong. A nice fresh coffee pot flavor and its perfect for adding to our shakes and malts. 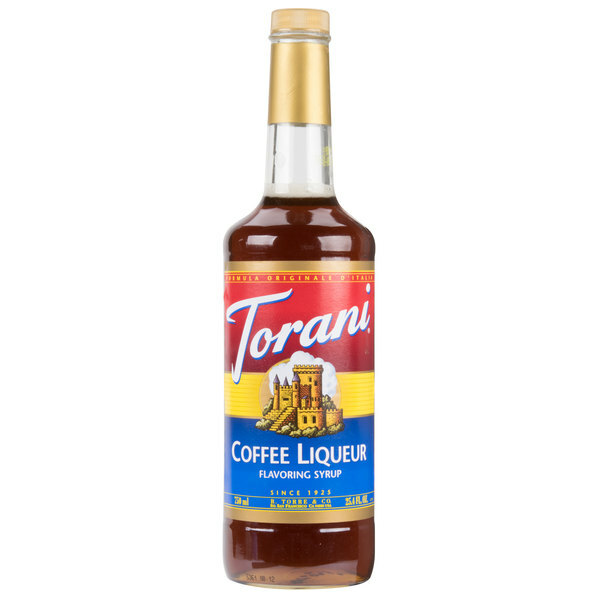 The Torani coffee liqueur flavoring syrup is so bold and rich. A great way to make adult coffee beverages for great after meal spirits. A great value and quality syrup. Save Up To $0.28 with our Recommended Product! 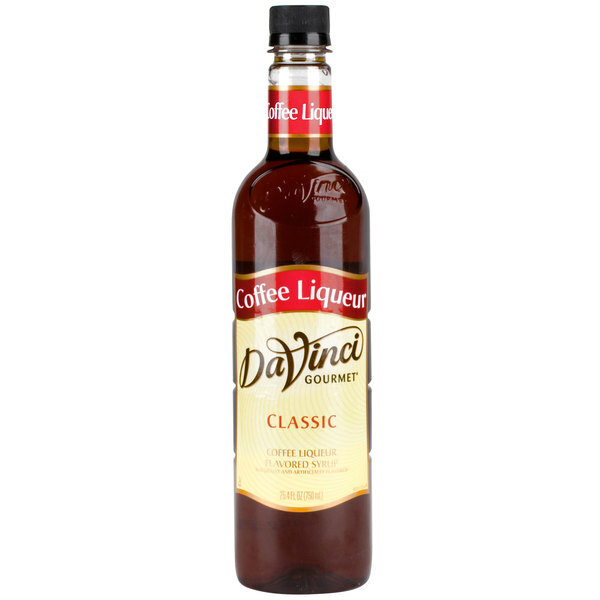 Check out this DaVinci Gourmet 750 mL Coffee Liqueur Flavoring Syrup instead! This non-alcoholic syrup has a deeply flavorful taste of robust coffee, rum, and vanilla to envelop the taste buds with rich, authentic flavor. One splash of flavoring syrup goes a long way, and flavored beverages enhance your menu with new, appealing items.